Result: Marin Cilic defeated Sam Querrey by 7-6(3), 6-2. Marin Cilic took the lead in the first set but Sam Querrey recovered the points and the set eventually came to a tie-breaker. Sam Querrey lost the set on the tie-break as he lost a total of three points on his serve. 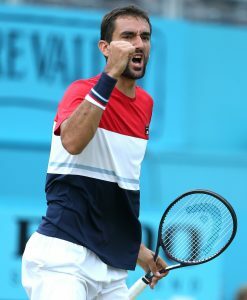 However, in the second set, Marin Cilic showed an outclass performance and finally won this set too by 6-2. Marin Cilic will now face Nick Kyrgios in the Semi finals of Queen’s Club Championships 2018. Result: Nick Kyrgios defeated Feliciano Lopez by 7-6(5), 7-6(3). An absolute and stunning performance was seen between Nick and Feliciano in the two sets as they both were decided on a tie-breaker. Nick took the lead in the opening set but Feliciano recovered the points after some time and the set came to a tie-break. Nick Kyrgios not only won this set but he also won the second set too on the tie-break and made it to the next round. Nick Kyrgios hit a total of 32 aces as compared to Feliciano who made only 16 aces in throughout the match. SEALED WITH AN ACE! 🔥@NickKyrgios has secured his spot in the @QueensTennis semifinals, with a 7-6(5), 7-6(3) victory over defending champion Feliciano Lopez! 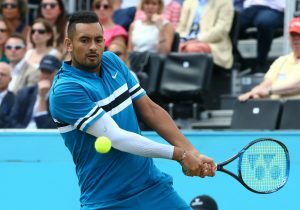 Nick Kyrgios will now face Marin Cilic in the Semi finals of Queen’s Club Championships 2018. Result: Novak Djokovic defeated Adrian Mannarino by 7-5, 6-1. Novak Djokovic took the lead in the first set but Adrian Mannarino fought back and the score reached 5-5. However, Novak Djokovic sealed the win after Adrian Mannarino lost the last point on his serve. Novak Djokovic made Adrian Mannarino suffer in the next set as he didn’t let Adrian to score more than one point. It was Novak’s 800th win in his entire professional career. 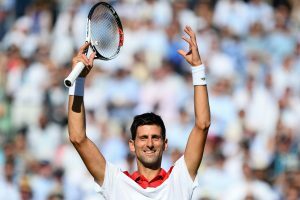 The Serbian, Novak Djokovic will now face Jeremy Chardy in the Semi finals of Queen’s Club Championships 2018. Result: Jeremy Chardy defeated Frances Tiafoe by 6-4, 6-4. Frances Tiafoe failed to take the lead in the first set however, he struggled hard to win it. But Jeremy Chardy didn’t let him score and in the end he won the set by 6-4. Frances Tiafoe again took a bad start as he failed to open the scoring of the second set. However, Jeremy Chardy again won this set and booked his place into the semis as Frances Tiafoe got in pressure in the end. A milestone week for @jimchardy continues! 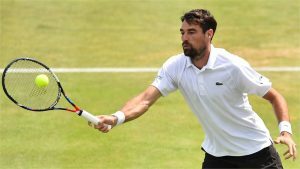 Jeremy Chardy will now face Novak Djokovic in the Semi final of Queen’s Club Championships 2018. Result: Henri Kontinen and John Peers defeated Neal Skupski and Kyle Edmund by 7-6(5), 5-7, 10-6. Both the pairs gave an outclass performance in the first set as it came to a tie-breaker. 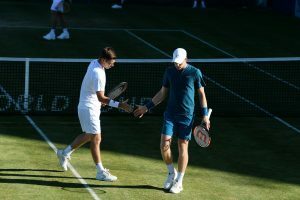 However, Neal Skupski and Kyle Edmund both lost a total of three serves and eventually lost the first set on the tie-break. Kyle Edmund and Neal Skupski lose to Henri Kontinen and John Peers 7-6(5) 5-7 10-6 at Queen’s. In the second set, Henri Kontinen and John Peers fought very well but the British pair sealed the victory in this set. The match now came to the third and decisive set. Henri and John both played at their best in this set while on the other hand Kyle and Neal despite struggling hard still lost in this set. Do join allsportspk to see the highlights of the 8th day of Queen’s Club Championships 2018. Previous articleBreaking World Cup 2018 – Serbia Vs Switzerland: Who Won…?